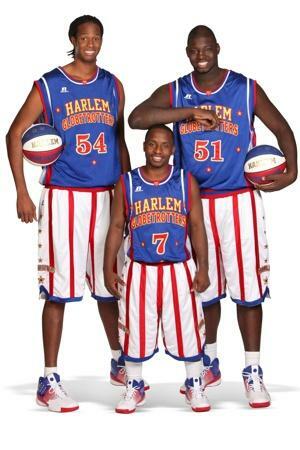 Jonte Hall, also known as “Too Tall” as a member of the world-renowned Harlem Globetrotters, experienced what some would call a rough patch, just several years ago. 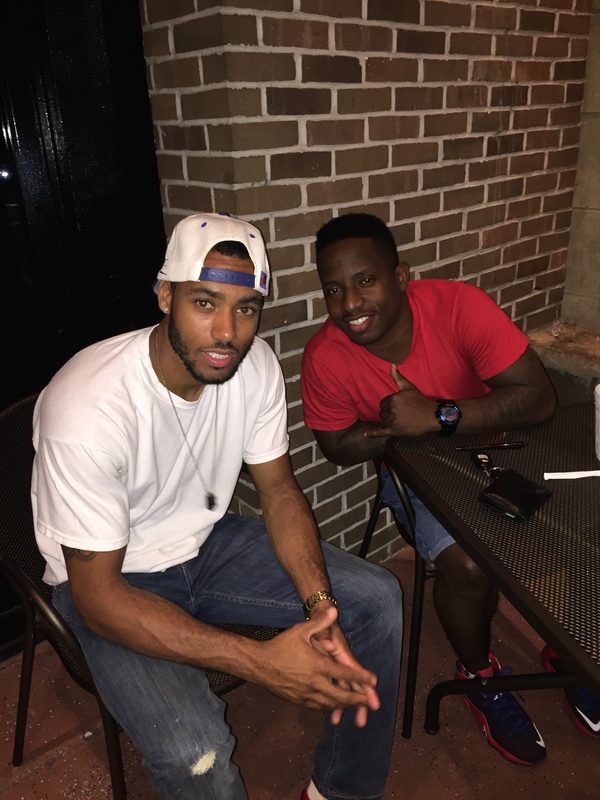 In his late twenties, Hall was working around the clock in pursuit of his dream; to play professional basketball one day. However, at that time, Hall’s window was not just closing, in the eyes of some it was actually shut as he found himself working overnight shifts, buffing floors at office buildings in Baltimore County. I don’t say that to degrade anyone that works in that field, but for Mr. Hall, I believe anyone would be able to understand my point just by reading the title of this piece; hence the Harlem Globetrotter reference. Anyone who’s able to attain such an accomplishment was obviously not meant to spend the rest of their life or career cleaning office buildings. Nonetheless, that’s what he was forced to do just years ago because like everyone else in America, he had bills. We’ve all been faced with that reality, right? That moment when reality sets in and the ways of this world put us in a position where we have to make a choice, it’s either our dreams and aspirations or doing what we have to do to put food on the table. It’s not a fun position to be in and Hall is very much so in touch with that feeling. At that time in Mr. Hall’s life, I had the rare opportunity to be caught up right in the midst of his setbacks as well as his victories. As a matter of fact, there were some nights when I was the person that my good friend called upon at the end of those late night shifts, when he needed a ride home or just someone to talk to about everyday life issues. I still remember those conversations that we had like it was just yesterday when Hall would tell me about his workouts on the vacant floors of those office buildings. 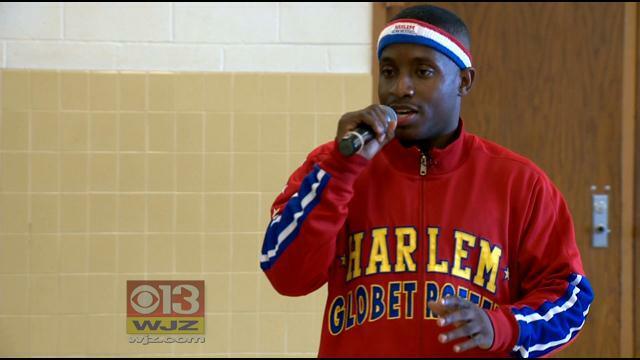 A young African American male from Baltimore, experiencing humbling times several years back, but now has ‘Harlem Globetrotter’ next to his name. That’s definitely a story worthy of radio or television time. However, while that’s quite the success story, it goes so much deeper than just that. What I just mentioned only scratches the surface for the great life that is Jonte Hall. Hall, 32, might have come up in a tough environment at a young age, but thanks to a loving mother, a few mentors along the way, and a good head on his shoulders, he didn’t allow himself to be defined by what was going on around him. Instead, he demanded for others to define him by his quality of life. Hall fell in love with the game of basketball at a young age and as much as some people will try to act as if a sport is not a true passion to have, they’re wrong. Sometimes something as simple as a sport can save one’s life by keeping them focused and out of trouble on the day-to-day. That’s the reality for many young black males coming up in environments like Baltimore City and surrounding areas where trouble can frequently find you. That’s something that the game of basketball did for Hall, even in his twenties. While some believed his dream should have been put to rest at a certain point, thank God Hall stayed the course and kept his goal in the forefront of his life. After all, anyone can decide to hang up their dreams after being hit hard by the hand that society deals us, but it takes a special person to stay the course for that special day when they can now wake up and live their dream. That mindset is what catapulted Hall into becoming a member of the Washington Generals, an American exhibition basketball team that you’ll always see on the same court as the Globetrotters, in a losing effort that is, and if you have any knowledge of the Globetrotter history, you’d know that I say that in all fun. 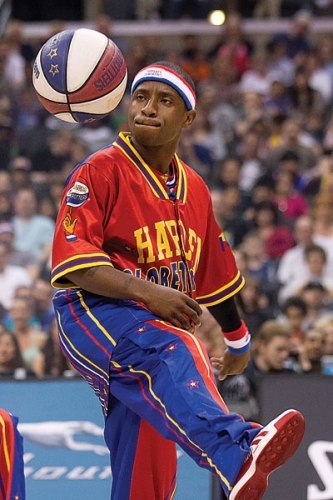 The Generals gave Hall his first opportunity to showcase his talents as a basketball player on a national stage and before he knew it, he was signing his contract with one of the most historic basketball platforms in sports history; the Globetrotters of course. Since then, he’s been traveling the world with the Globetrotters doing what he loves to do and putting smiles on the faces of thousands in the process. Sure, you might fail or better yet fall in the midst of following your dreams, but just like in a real dream, you can also get up, dust yourself off and keep moving onward and upward. If Hall would have decided to stay where he fell, then his testimony probably wouldn’t have the impact it has today and he wouldn’t be waking up doing what he loves on a daily basis, able to touch lives beyond just his hometown. I selected Hall for Intern Media Week, not only because he’s like a big brother and close friend, but also because his story deserves to be spread to others. His life is a representation that not every sports figure or celebrity figure changes for the success and the fame. I’ve known Hall for years now and I can’t lie about the fact that he’s literally the same humble and positive guy that I met when he was an average guy walking the streets of my hometown. Instead of allowing his success to change him, he’s decided to change the perception of those who are famous and successful in the entertainment world. That said, it’s my honor and privilege to be able to highlight someone that’s been a big brother to me and a supporter of my endeavors. And I’m confident that his story will leave you wanting to know more about this deep and talented brother, Mr. Jonte Hall.